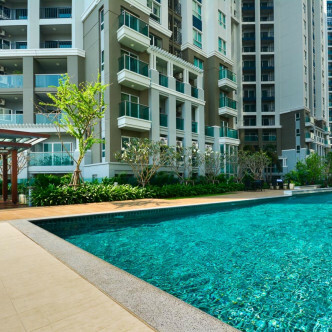 This brand new condominium is the first word in comfort and style and this colossal complex was completed in 2015. 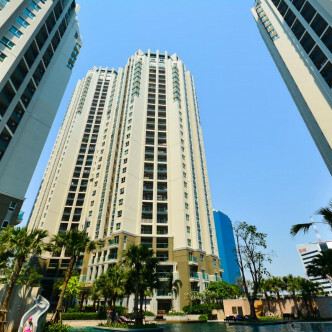 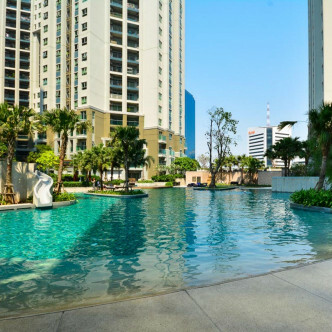 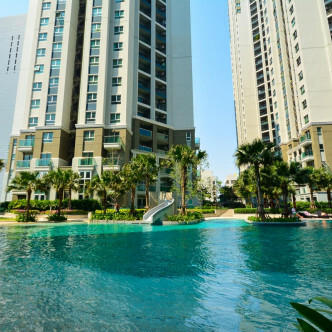 Belle Grand Rama 9 consists of eight buildings, each of which boasts 43 storeys and there are more than two thousand spacious units of residents to choose from. 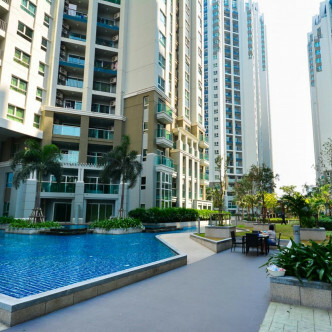 The condominium boasts all of the luxurious facilities that residents would expect from a living space of this size and the garden is simply stunning. 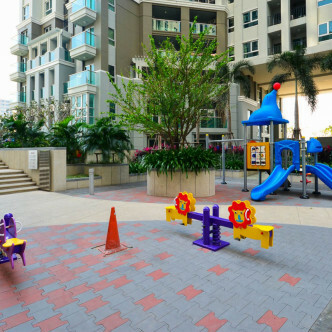 The swimming pool is conveniently situated in the heart of the complex, while residents also have full use of a fully loaded fitness centre, while the colourful children’s playground is the perfect place for kids to let off a little steam. 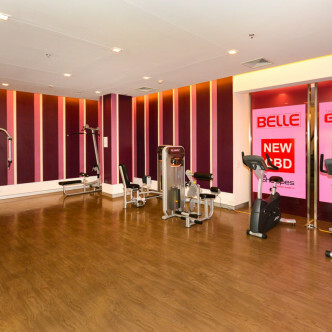 This location features a great blend of Thai and Western style amenities in the form of shops, restaurants and bars. 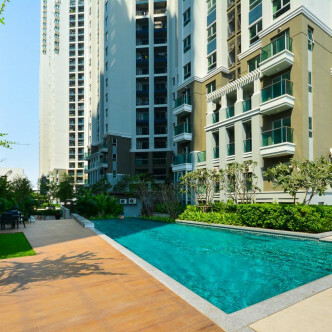 Phra Ram 9 MRT station is a short stroll away from Belle Grand Rama 9 and this makes it easy for residents to reach the rest of the city of Bangkok.